George Lee looked the part of a burro-prodding prospector --tall and weathered. A middle aged man who’d spent his prime poking around mountains and hills that ranged from Barstow to Old Woman Springs -- a man who became the subject of stories about a lost mine. The pick and shovel period on the Great Mojave lasted from the late 1870s to the early 1880s. Not much to show except prospect holes and mining claim markers scattered across the landscape. Completion of Atlantic & Pacific Railroad, connecting east to west, had by mid-decade opened barren stretches of desert to prospecting and hard rock mining. Lee considered himself a locator of silver mines. He told stories about casting silver into door handles and the like. It was believed that he discovered the silver lode that later became the mining camp of Calico -- perhaps the richest mining district in the Mojave. He discovered the Led Pencil Mine located in the Waterman Hills north of Barstow. His prospect holes rimmed the Waterman Hills. For some reason, Lee failed to follow up on his discovery or register his claims thus leaving their development to others including Robert W. Waterman, a future governor of California. Lee often took refuge at Old Woman Spring, a campsite well known to early desert travelers. It’s likely that somewhere out in this unexplored, sand strewn wilderness he discovered another silver deposit and named it the White Metal Mine. 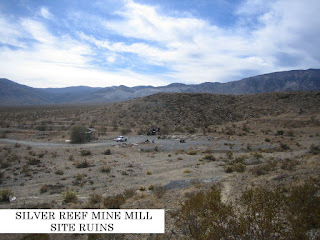 This claim he duly recorded with the San Bernardino County Recorder’s office as: White Metal Mine, located by G. Lee 5 miles N. of the Lone Star Mine. Located N.E. of Bear Valley (Big Bear) April 5, 1879. San Bernardino County, California. Lee brought some ore samples to the city of San Bernardino for inspection by a few men who recognized good ore. They agreed that Lee had indeed stumbled on a valuable property. Customarily, a discoverer at this point, would either look for a buyer of the claim or find a partner with money to invest in its development. A man who lived in Los Angeles [so the story goes] agreed to partner with Lee provided that an associate of his be allowed to personally inspect the mine. Lee agreed and a few days later the two, Lee and the associate, rode by buckboard to Old Woman Springs where they rested for a few hours. At mid-afternoon, they started again and traveled for three hours before stopping to camp for the night. Lee left the camp site on foot returning three hours later with a sack of ore samples. Apparently, Lee didn’t trust his companion and refused to show him the samples. The deal with that investor fell through and nothing more is known about his search for a partner. Lee made his headquarters at Brown’s Ranch located near the Mojave River in the Spring Valley Lake area of Victorville. The owner of the ranch claimed that the last time he saw him, Lee was headed east on the road to Old Woman Springs. It’s believed that a man named Hans Hoffman met Lee at the campsite and after sharing a few drinks questioned Lee about the mine’s location. When Lee refused to tell him anything about the mine, Hoffman became threatening and in a rage struck Lee in the head with a rock. Hoffman then quickly buried Lee’s body in a shallow grave as riders on horseback approached. In another version of the story, Lee was secretly followed to his mine by a few depraved individuals bent on finding the claim and eliminating its owner. They tracked Lee to an outcrop near Emerson Lake in the Dry Lake Mining District. Unfortunately, Lee had not taken his usually meandering trail to elude those who might try to follow. Not long after this incident a number of suspicious prospects were recorded near Emerson Lake by some upstanding citizens of San Bernardino. The San Bernardino Daily Times (April 6, 1880) reported that Lee was killed by Chemehuevi Indians when exploring country east of Old Woman Springs. This unlikely story possibly came from those individuals involved in his death. In yet another version, Howard D Clark, in his book Lost Mines of the Old West claims that Lee had a hired man who helped him with reducing the ore by some primitive grinding process. And that Lee’s body was found not far from San Bernardino shot through the heart at close range. Clark believed that Lee’s hired man was the one who shot him – a man never seen or heard from again. Clark gives possible credence to rumors that the mine was located in the Bullion Mountains near Deadman Lake which is now within the Twenty-nine Palms Marine Corps Base. That would support a location east of the Dry Lake Mining District and Emerson Lake. Years later, in a letter to the Editor of Desert Magazine, Howard Clark stated that he had met a man who claimed to have found Lee’s Lost Lode. But, of course, the man refused to divulge the location. There you have three different stories about George Lee and his mine. The fact that a silver mining claim was recorded by George Lee (located northeast of Bear Valley and five miles north of The Lone Star mine) lends some credence to the story. 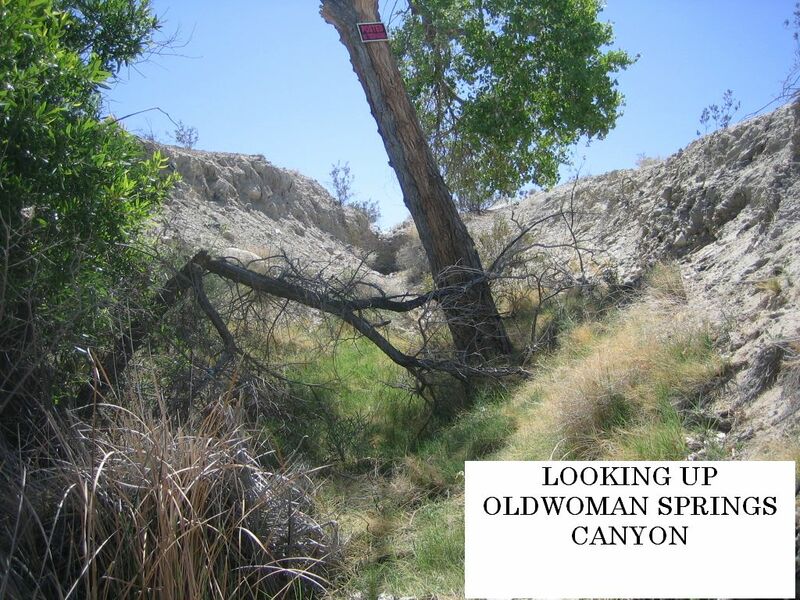 If we accept as significant Old Woman Springs camp site as the place from where Lee prospected and discovered the mine, then we have a starting point for a trip to the desert to find a lost mine. If the mine’s location lies to the north of the Old Woman Springs (Highway 247), it will most likely be found somewhere in the Johnson Valley -- possibly near Emerson Lake. The Campbell party recorded discoveries in this area. However, those discoveries were of gold not silver. I could find no silver discoveries listed in Johnson Valley before 1902. Better look elsewhere. If the mine’s location lies to the east of the Old Woman Springs in the Bullion Mountains, chances are it is within the 29 Palms Marine Base and not open to the public. If the mine’s location is to the south of the Old Woman Springs, it most likely will be found somewhere in the uplands between Black Hawk Mountain on the west and the Bighorn Mountains on the east. One silver mine in this area deserves consideration. The Akron-Silver Reef Mine is located a reasonable distance from the Old Woman Springs. It lies northeast of Bear Valley and north of the “Lester-Dale Mine” (a property perhaps named Lone Star at an earlier time). The Waterman Hills are located north of Barstow at Google Earth 34 55.294; 117 2.725. The Old Woman Springs (aka Willow Springs) are located on the south side of Highway 247 at Google Earth 34 24.526; 116 43.463. The site is fenced. The Akron-Silver Reef Mine is located south of Highway 247 at Google Earth 34 22.720; 116 45.070. The Lester-Dale Mine is located south of Highway 247 at Google Earth 34 20.311; 116 46.497.